Find the right tour for you through Thorong Phedi. 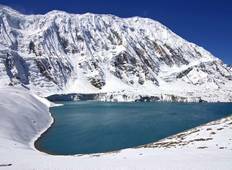 We've got 24 tours going to Thorong Phedi, starting from just 8 days in length, and the longest tour is 23 days. The most popular month to go is May, which has the most number of tour departures. "It was an absolutely beautiful experience in one of the most beautiful countries..."
"Great experience, had nothing to worry about thanks to our guides from Icicles Adventures...."
"Hi, Travel Max Guide- TMG Adventure. 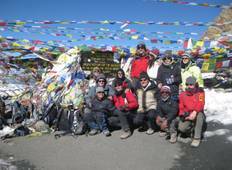 We are so much happy to be with you all at the..."
"I loved this trek. The Annapurna region is magical. We did the full loop and every..."
"I love traveling and when I was planning my holiday to be little adventurous this..."